Diamond Naturals Extreme Athlete is a grain-inclusive adult dog food with the highest fat content I've found so far. This is a chicken, rice, and barley-based food intended for hard-working dogs that need plenty of energy to get the job done. It's a favorite of owners of working dogs around here, as it packs a lot of nutrition without a lot of carbohydrates. 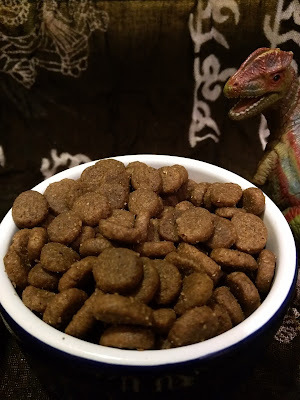 I've written about Diamond Pet Foods before. They are still crawling back from a series of recalls in 2012 caused by contamination. Their production plant was in overall poor repair, and the inability to properly clean the equipment lead to salmonella that made both pets and their people sick. Happily, it appears that Diamond learned their lesson, cleaned up their act, and invested in their production facility. They co pack for a bunch of different brands, and the lack of recalls seems to indicate that the quality assurance programs they implemented are working now. There are still plenty of concerned pet owners that won't feed anything made by Diamond, but it's tough to disregard everything when they produce so many decent, affordable foods. Grain-inclusive isn't usually my jam, but Extreme Athlete offers something I haven't found in any other food. This stuff packs a whopping 32% protein and 25% fat. Compare that to Purina ProPlan Sport, another "active dog" food, at 26/16, or Diamond's own High-Energy kibble at 24/20, or Orijen Tundra at 40/18. Humans burn carbohydrates when we are active, but dogs burn fat. Godzilla and Zip work on the sheep ranch with me, and often their jobs involve sprinting for quite a while, zooming after sheep and running wide around the flock. 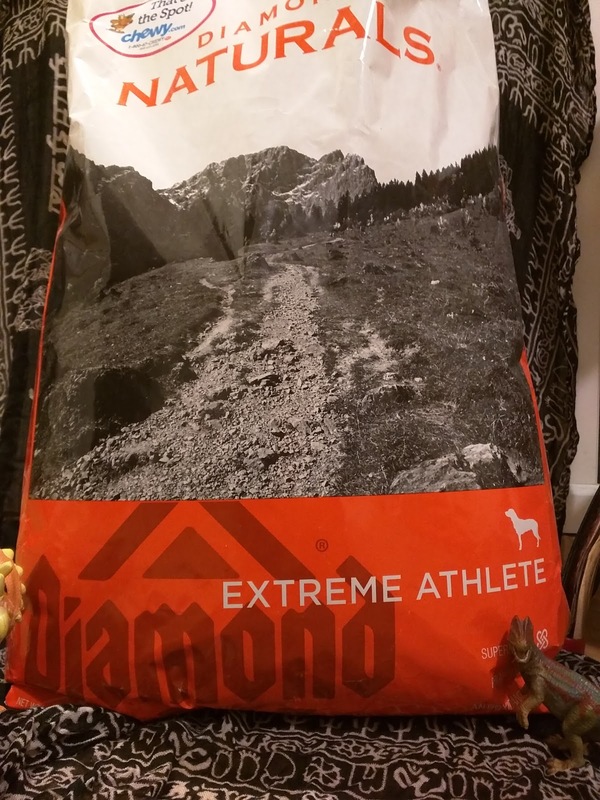 Most of the shepherds I know feed Diamond Naturals Extreme Athlete because it has the highest fat content out there. My dogs will happily eat this food, including Ru who is not an extreme athlete unless snuggling counts as a sport. It rates 4.5 out of 5 stars on the Dog Food Advisor website, though the Diamond Naturals grain-inclusive foods were all judged together so it's tough to tell where Extreme Athlete lost a star. It's a high-fat, high-protein, nutritionally dense food, which I think is more important than feeding a grain-free food that's mostly made from carbohydrates like peas and potatoes. Both Godzilla and Zip do great on it, they're basically furry body-builders. So muscley!